Dress it up with velvet or down with a cotton tee. 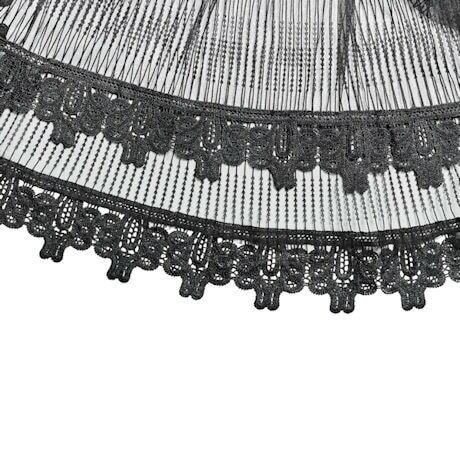 Embroidered and edged with Art Deco-inspired lace, a sheer layer of black tulle floats over a solid black liner. 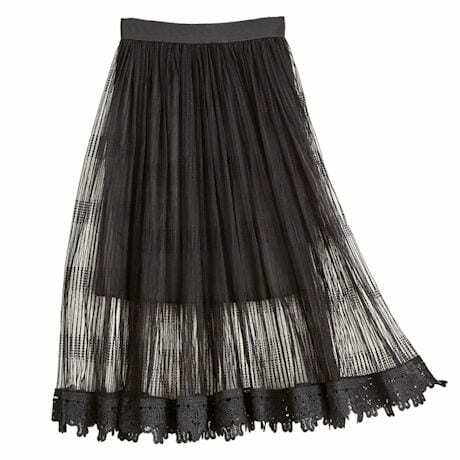 Trendy, romantic pull-on skirt has an elastic waistband. Poly-cotton-nylon. Sizes S(4-6), M(8-10), L(12-14), XL(16-18). Size M hangs 37". Hand wash. Imported.